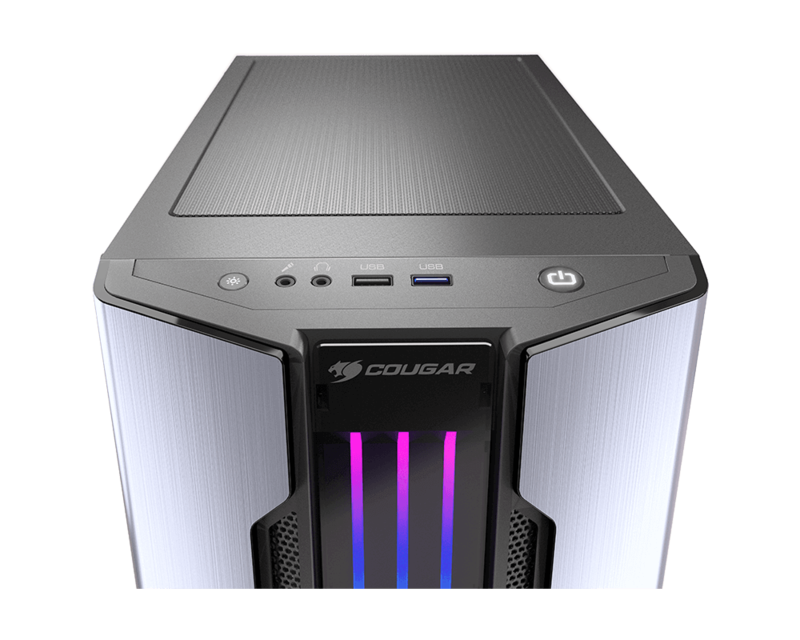 Gemini M features COUGAR’s exclusive Trelux integrated lighting system. 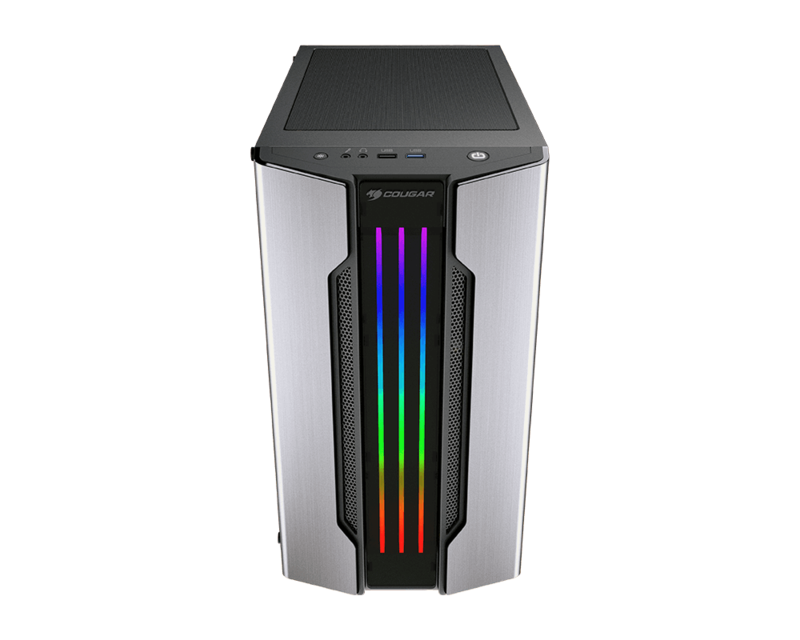 This advanced design allows it to display fourteen amazing lighting effects without installing any additional devices in the case and control them through the integrated lighting button. 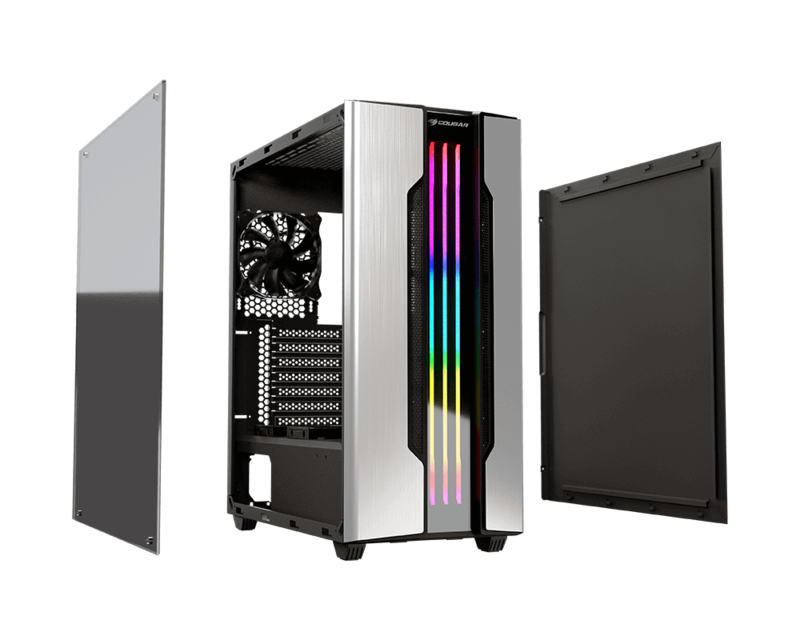 Gemini M’s brushed metal-like front panel gives it a unique look that sets it apart from other compact cases. 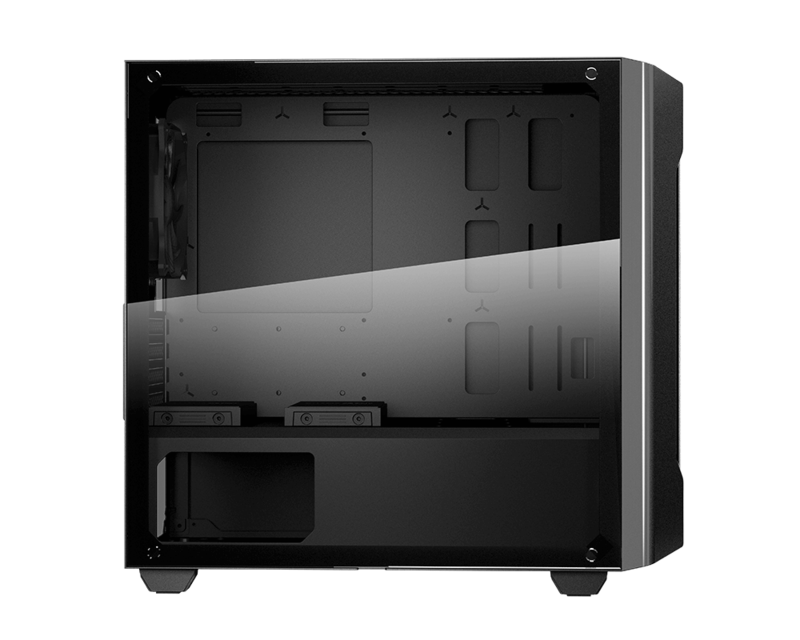 This texture is also a great companion to the integrated lighting since the powerful lights coming out of it benefit from the reflective surroundings that help reinforce the effects. 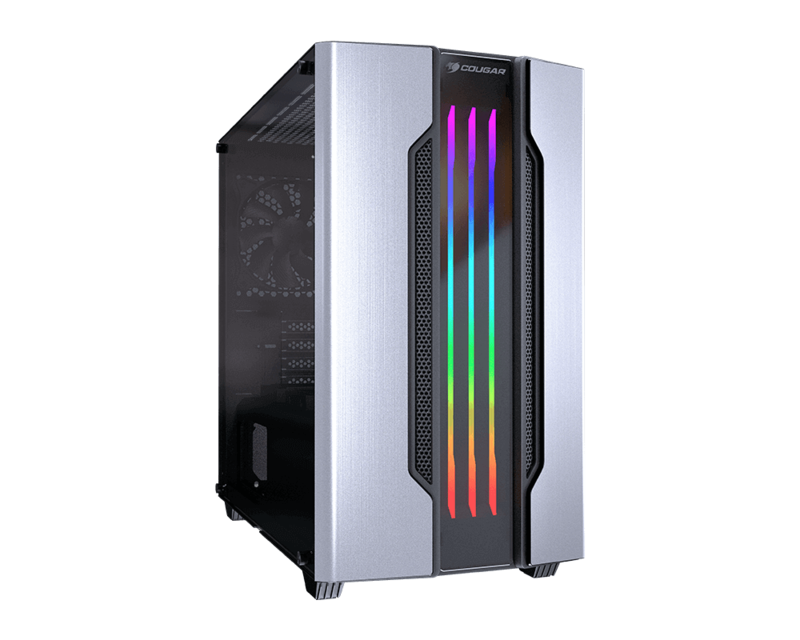 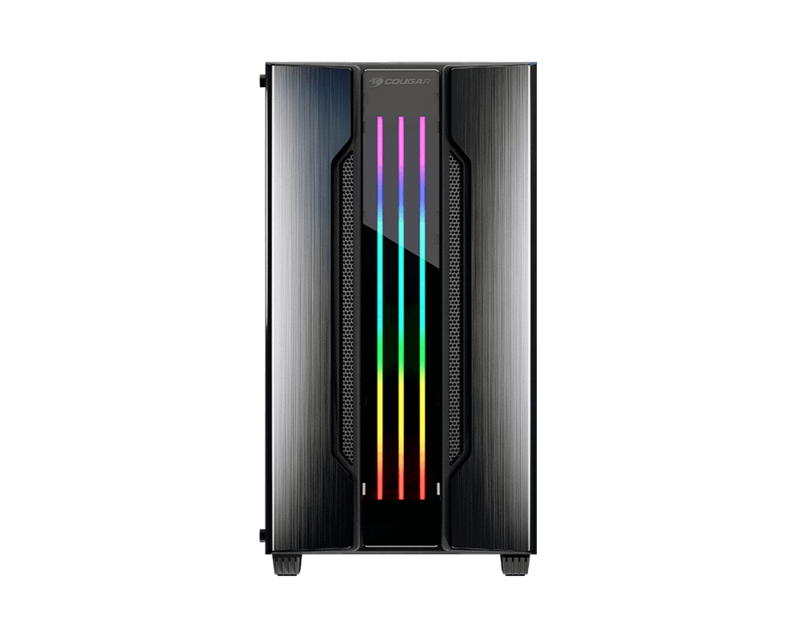 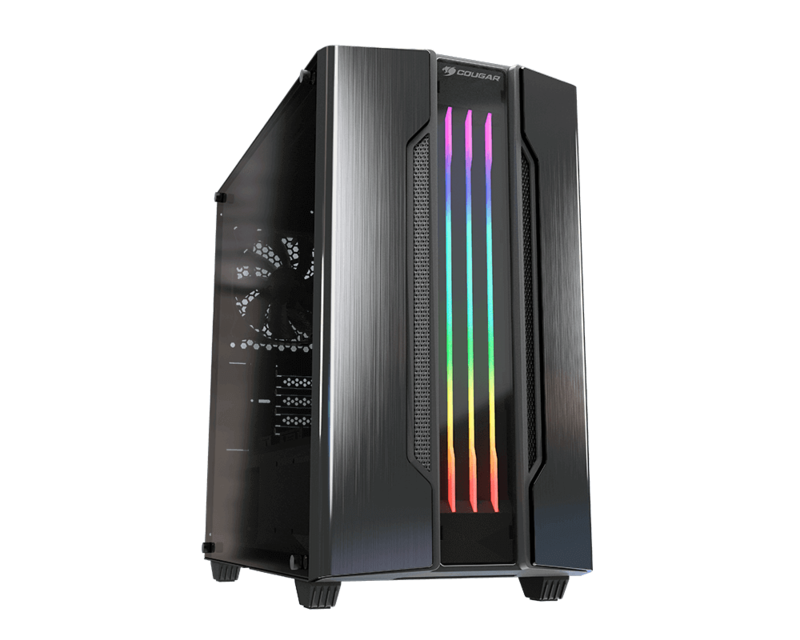 You won’t believe how powerful a gaming beast you can build inside Gemini M. Its advanced support for graphics cards (up to two 330mm-long graphics cards) will allow you to enjoy the latest games with smooth framerates. 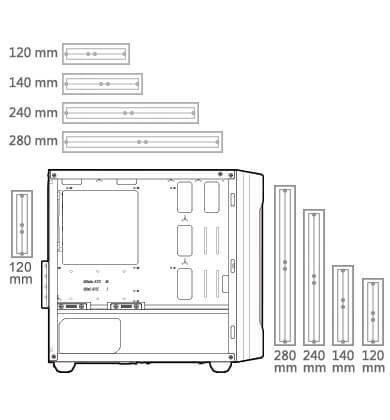 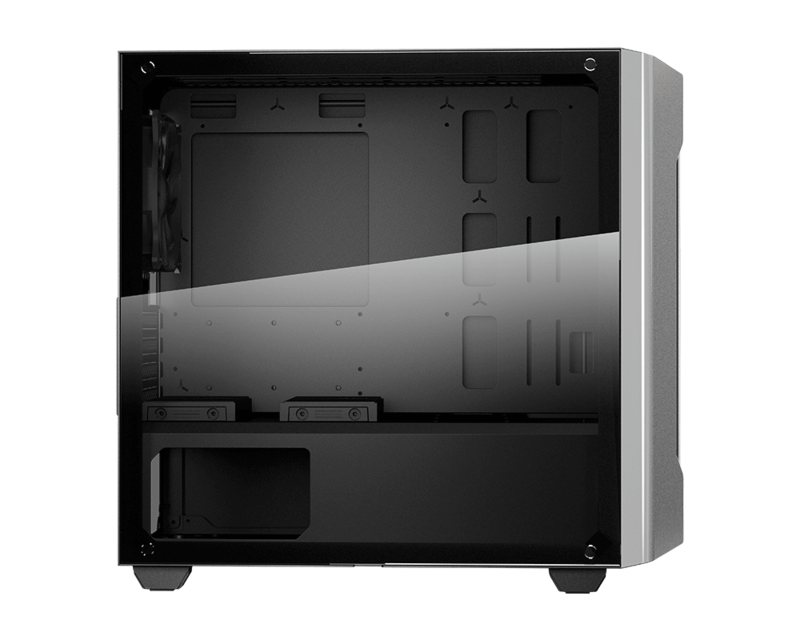 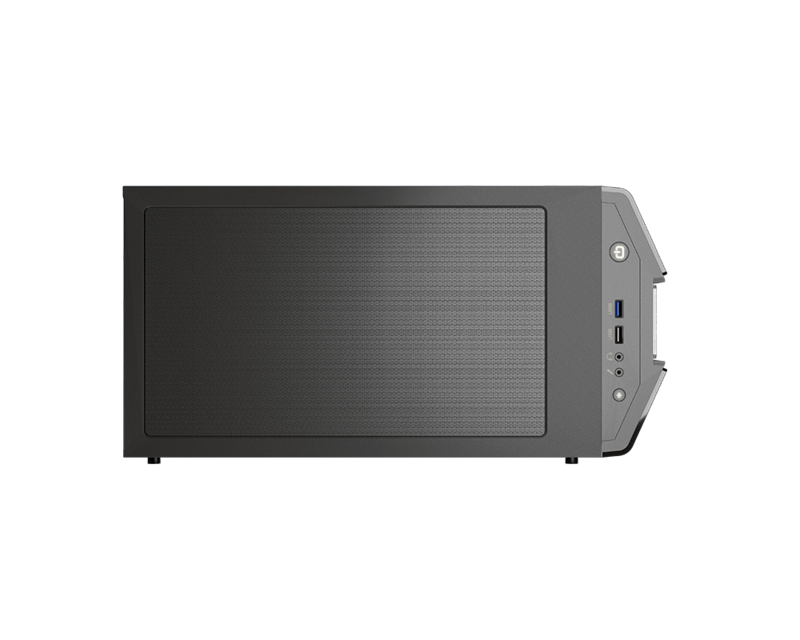 Gemini M’s compact layout allows you to install six fans and three water cooling radiators, with the front and top ones up to 280mm. 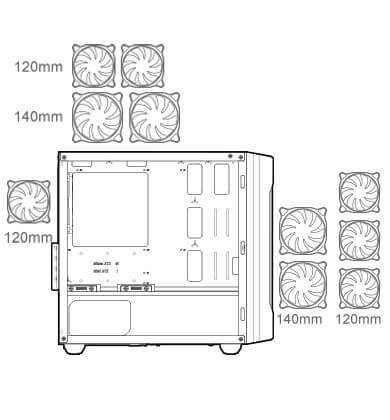 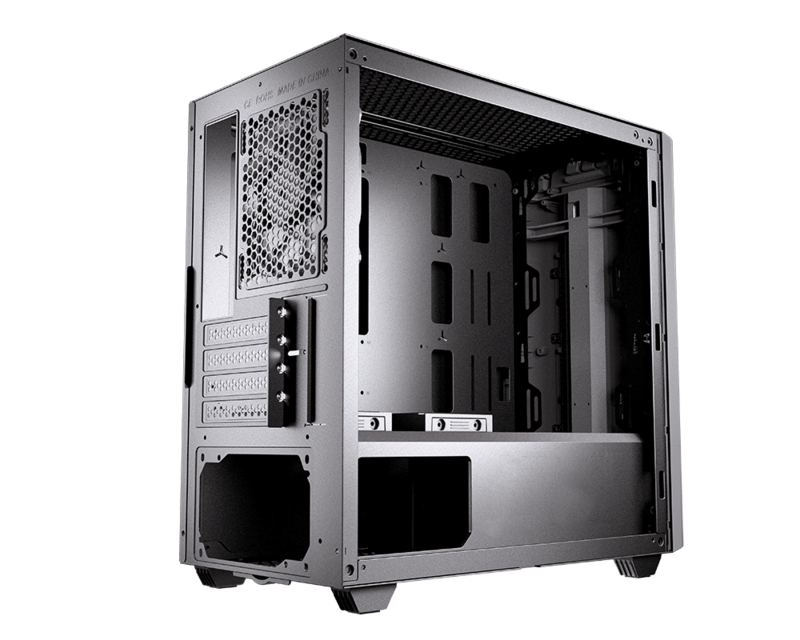 This immense cooling potential will enable you to choose freely the components you want in your build. 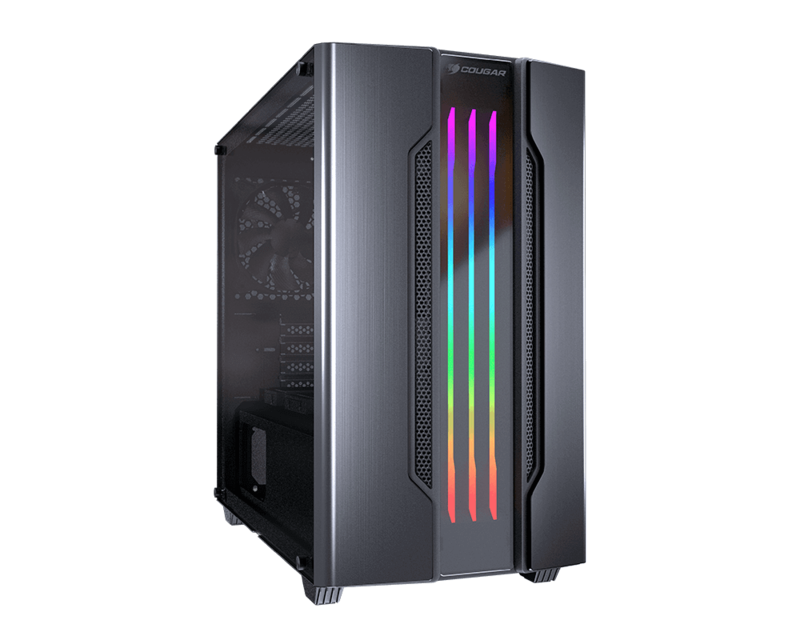 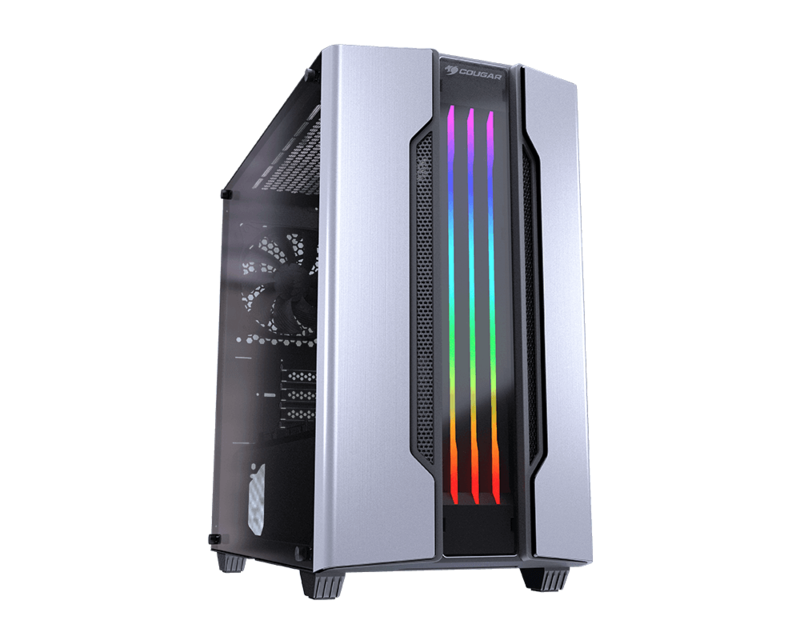 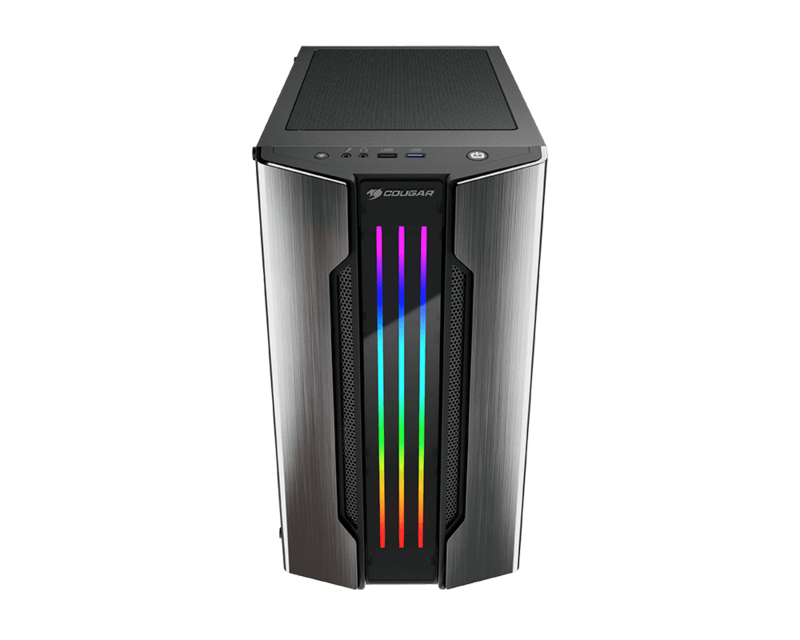 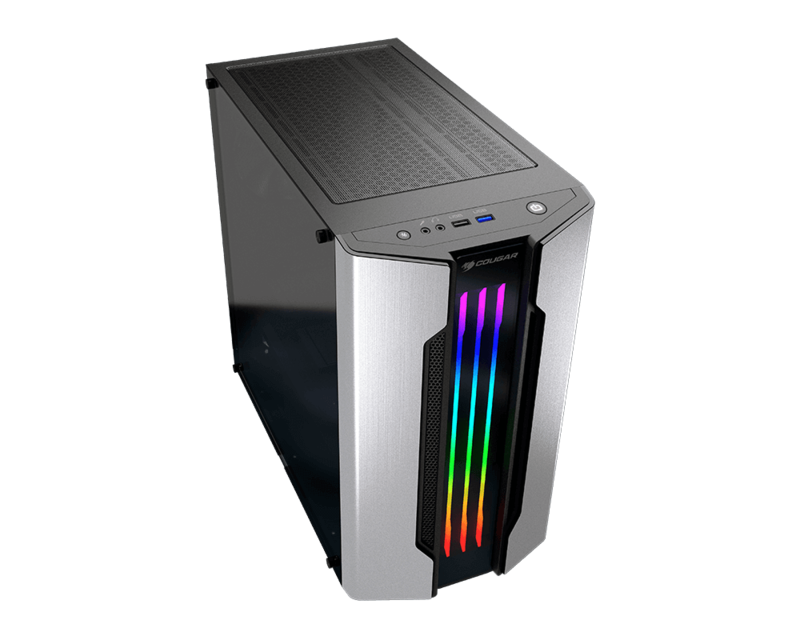 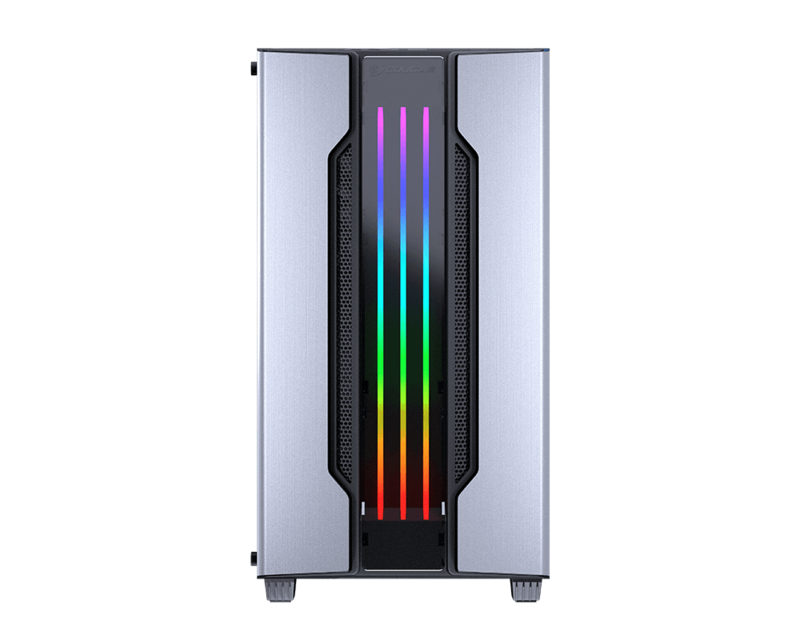 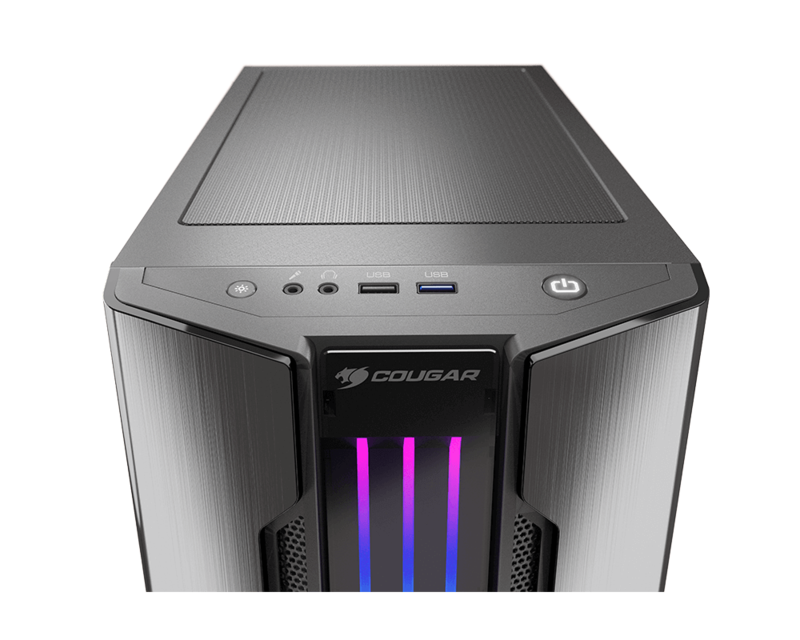 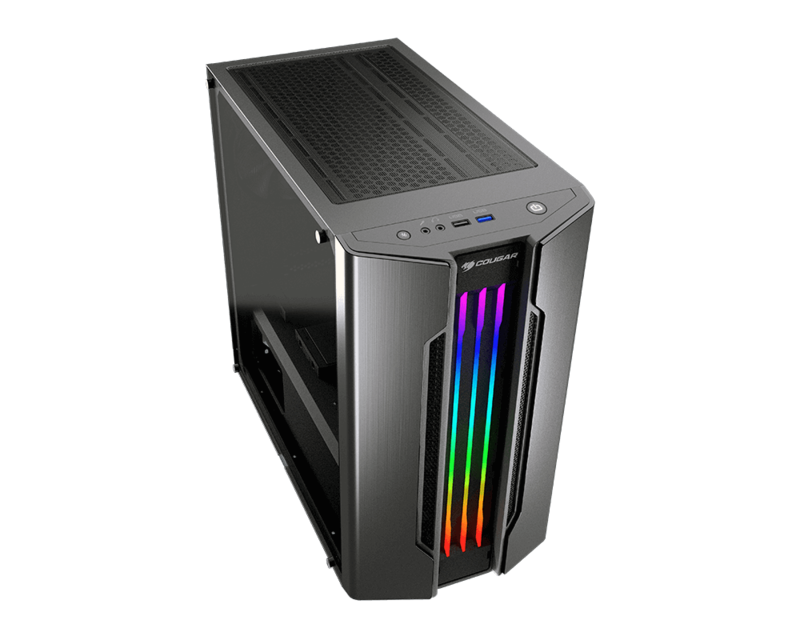 Up to two 3.5″ HDDs and two 2.5″ SSDs or four 2.5″ SSDs will provide you with all the storage you need to install games and store all kinds of media.